Rattanachai Suttidechanai, vice-chairman of Pattaya City Council presided over the opening of the Fin Free Thailand campaign in top hotels in Pattaya and nearby provinces. CENTARA HOTELS & RESORTS, Thailand’s leading operator of hotels, has joined the Fin Free Thailand campaign to stop the serving of shark fin dishes. Centara hotels in Pattaya have been the first to end the serving of shark fin, with others in the group following later this year. There are currently 47 hotels in Centara’s Thailand portfolio, with another 21 either open or under construction in other destinations in Southeast Asia, the Indian Ocean, the Middle East and Africa. Rattanachai Suttidechanai, vice chairman of Pattaya City Council presided over the opening of the Fin Free Thailand campaign in top hotels in Pattaya and nearby provinces, marking the inauguration in Thailand of the Fin Free campaign. Centara was among the first businesses to participate in the campaign. Fin Free Thailand is intended to protect endangered sharks and consumers’ health, with celebrities, activists, divers, hotel and restaurant owners, chefs and students working together to encourage more businesses in Thailand to go “Fin Free”. Fin Free is a global campaign that supports individuals to organize on a local basis and lobby against the sale and possession of shark fin in cities, provinces, states and countries worldwide. 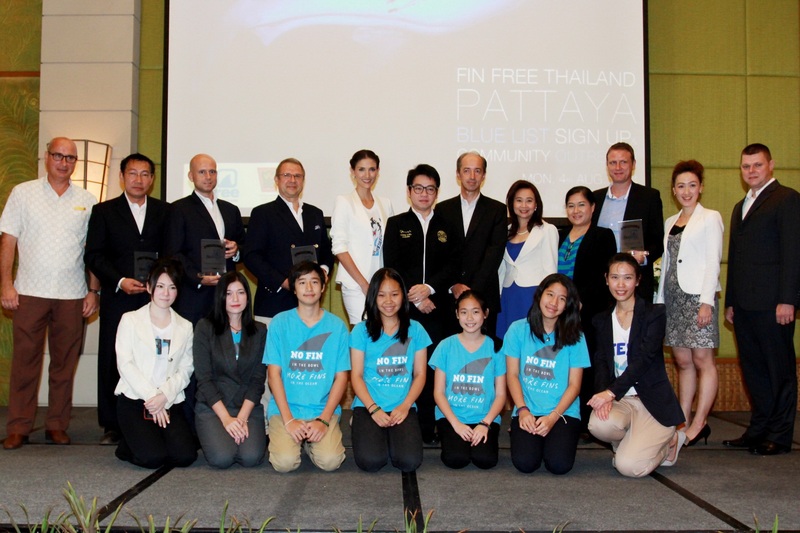 The Fin Free Thailand campaign in backed by prominent local and international conservation groups, the United States Agency for International Development (USAID) and the US Embassy to Thailand. According to Fin Free, up 73 million sharks are killed each year to meet the demand for shark fin soup. Some species of shark, notably Bull, Dusky and Smooth Hammerheads have experienced a 99% population decline since the 1950s.